Thank you for contacting us regarding contributing a guest post or article to WPCompendium.org. Note: If you’re interested in submitting content to advertise your WordPress product or service, go here: Advertise on WPCompendium.org. Please read the information on this page carefully, as we will not consider submissions that don’t meet our criteria. We’re currently not in a financial position to pay writers for their submissions. WPCompendium.org provides free tutorials and this makes it hard to generate revenue to pay writers. If we did agree to publish your guest submission, therefore, it would be on the express understanding that you will not be paid for your work. No matter how “copy-paste-publish ready” you think your article is, it will still require investing additional time (normally about 3-4 hours) editing and formatting your content to fit our guidelines. If the content is not delivered as per our specifications further below, therefore, it will be sent to the back of our production queue and it may not get published! We focus on educational content (i.e. 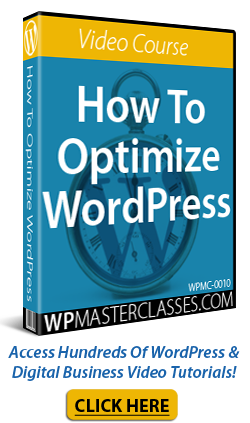 tutorials) related to WordPress only – not general topics about web development or online business (unless they relate directly to using WordPress). We publish detailed tutorials that follow a specific plan, structure, and format. Typically, we prefer to write our own content. You can submit content for us to review and consider publishing as a guest post, but unless we feel it would “knock the socks off” our audience or what you’ve written is worth spending time reworking and reformating to fit our criteria and guidelines, we can’t guarantee that it will get published any time soon (as I said in point 1, our schedule is full and we are under resourced). 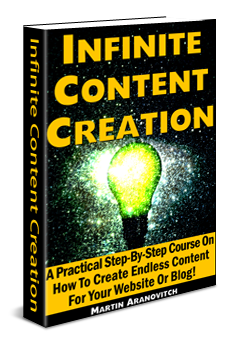 If we don’t feel we can publish your content within a reasonable timeframe (i.e. within 2-4 weeks), we will let you know so you can submit it somewhere else. It must be 100% original (i.e. not reprinted anywhere else). We also reserve the right to modify it extensively to suit our content plan, format, and guidelines. It must not contain affiliate links or any embedded SEO backlinks (only we can place affiliate links in the content). If your article is about a plugin or theme that you have developed, let us know if you offer an affiliate program (and approve us as an affiliate when we apply!). Your content must be factual, informational & educational. DON’T USE generic, salesy, hypey, or promotional content. For example, avoid using superlatives like outstanding, breathtaking, spectacular, impeccable, incredible, jaw-dropping, amazing, stunning, gorgeous, etc. We write for a non-technical audience (i.e. businesses that use WordPress, not web developers). Your content must be easily understandable by readers who have no coding or web development skills. Focus on the benefits, advantages, and results that users will achieve using the particular method or WordPress plugin(s), theme(s), or tool(s) you are writing about. Include a generous amount of high quality screenshots (.jpg or .png) to support the information you are presenting. Note: To ensure that we conform with specifications and maintain consistency throughout our site, if you plan to add instructions to screenshots, please do it on mock ups and attach the unaltered originals and we’ll overlay text, arrows, etc. to the images from our end. Don’t submit content written with an HTML editor (e.g. containing div or table tags). Ideally, you would write and format your content inside WordPress itself and export it as a WordPress XML file (see this tutorial for instructions) and email us your images/screenshots as a separate attachment. This will save considerable time reformatting content from sources like MS Word or .html files. We do not set up user logins for contributors on WPCompendium.org. If we publish your article, we will add your byline at the end of the article, or a link to your site for more information. Send us links to your published writing (if you haven’t already done so) so we can take a look at the quality of your work, then wait for our reply. Use our contact form for this initial step. If we let you know that we’re interested, send us your content (remember: it must meet ALL of the above criteria to be considered for publishing) or a summary of what you propose to write about, tell us where you think your article/post/tutorial/entry should be published or linked from, and include the byline you would like us to publish about you, or where we should direct visitors to for more information. Thank you again for getting in touch. Originally published as Guest Posts.